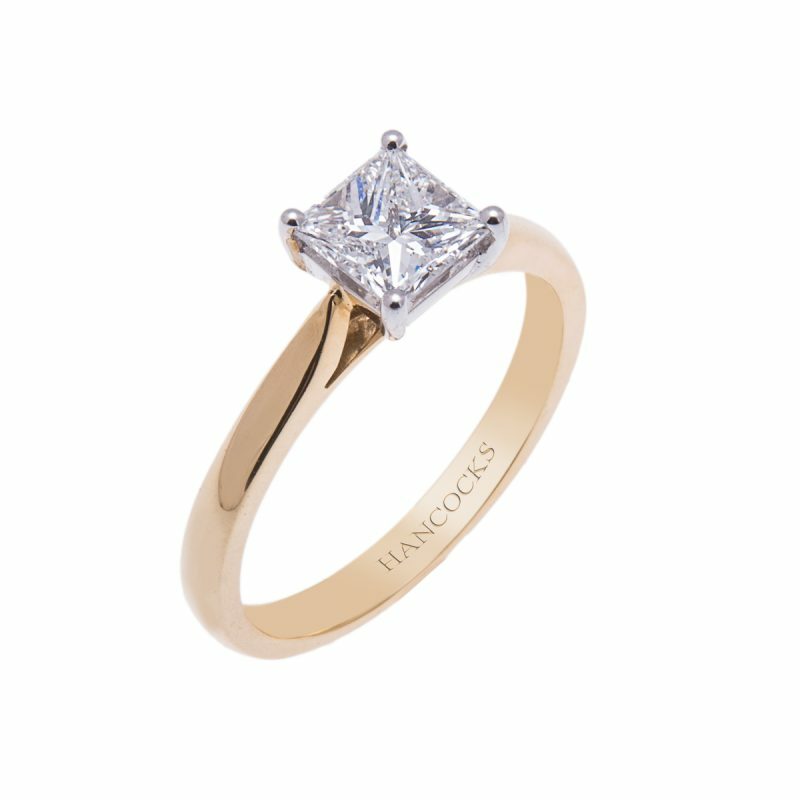 A GIA certificated princess cut diamond solitaire of exceptional colour and clarity has been handcrafted in a classic 18ct gold claw setting with tapered shank. 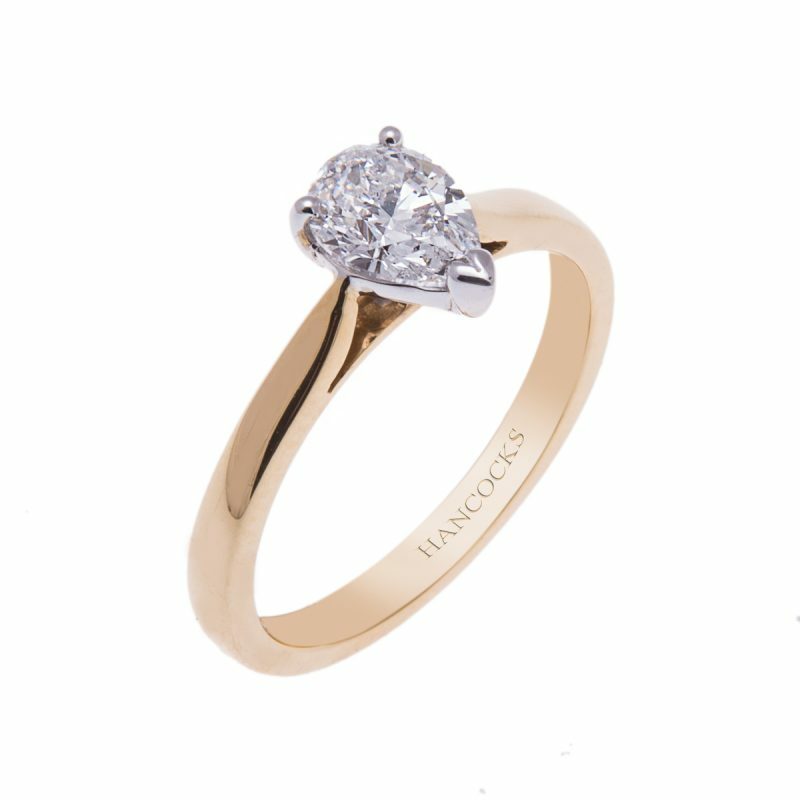 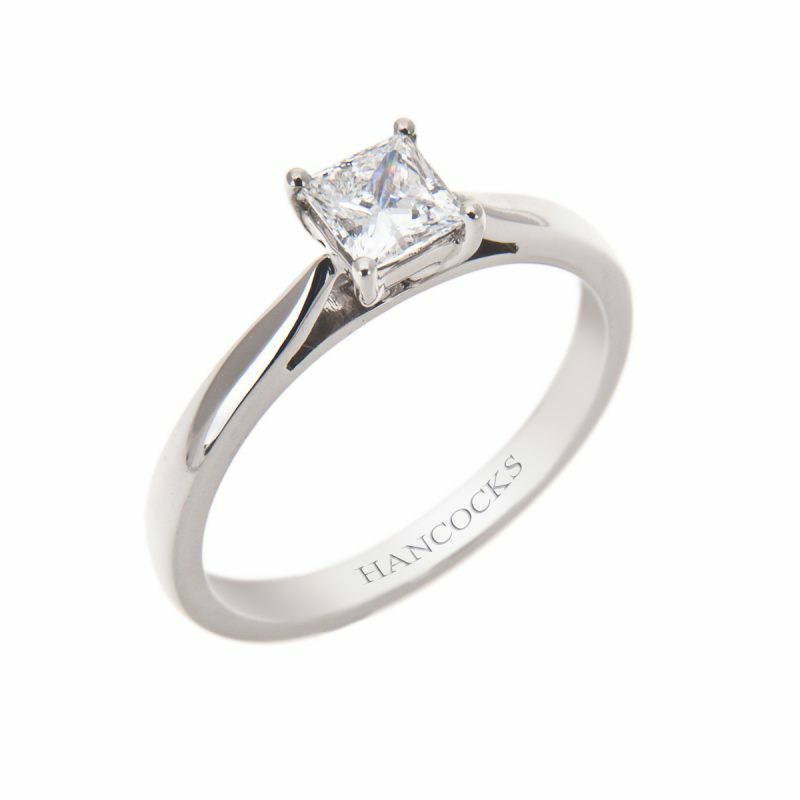 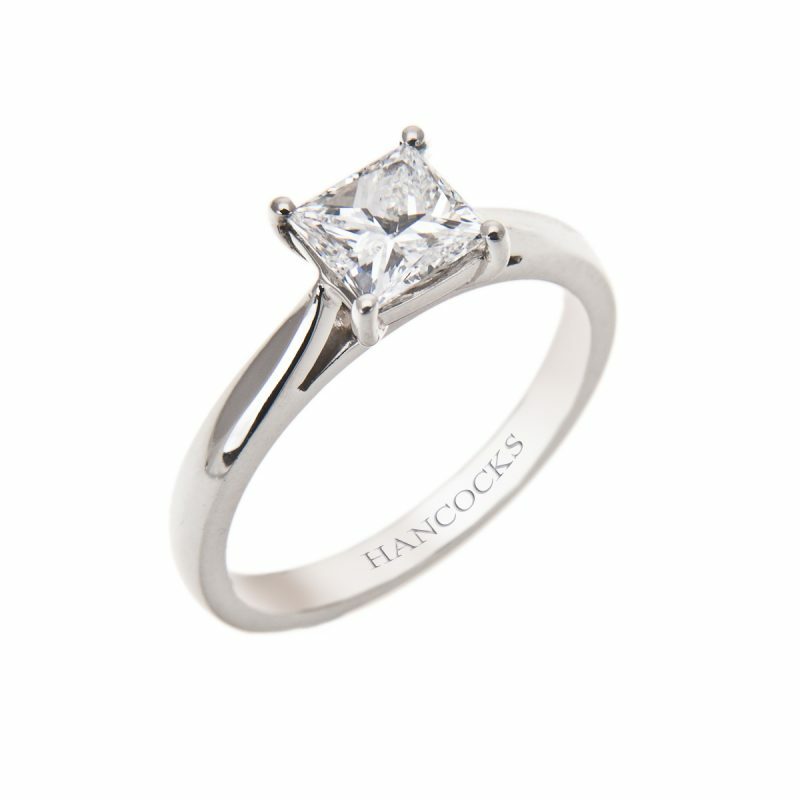 Princess cut diamonds are a wonderful option for people who like the brilliance of a round diamond but prefer the more iconic square shape. 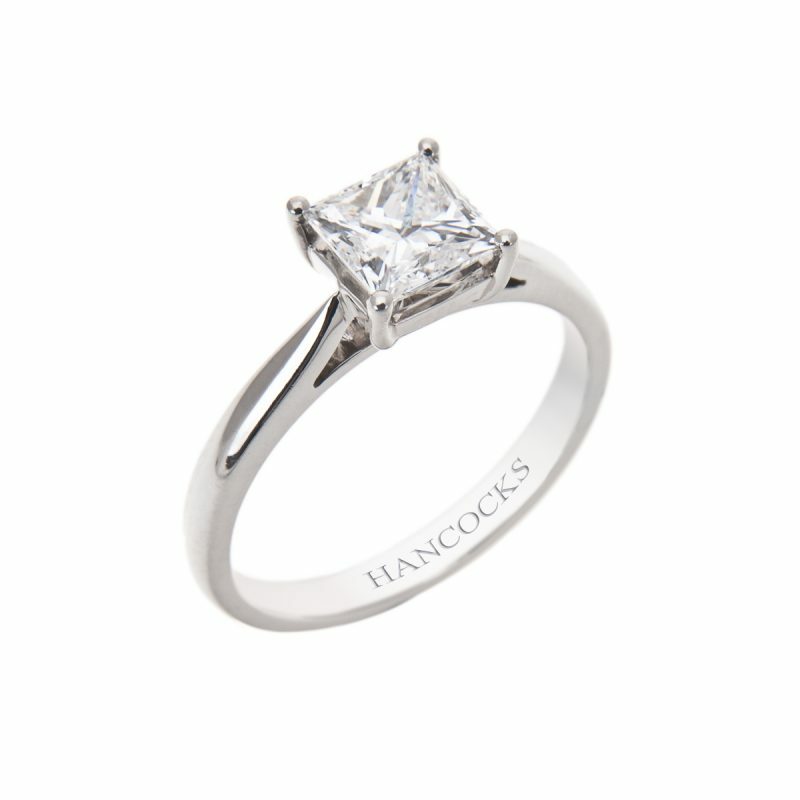 Its 76 facets create a stunning visual effect, exhibiting all the fire and brilliance you could wish for in this E colour stone.